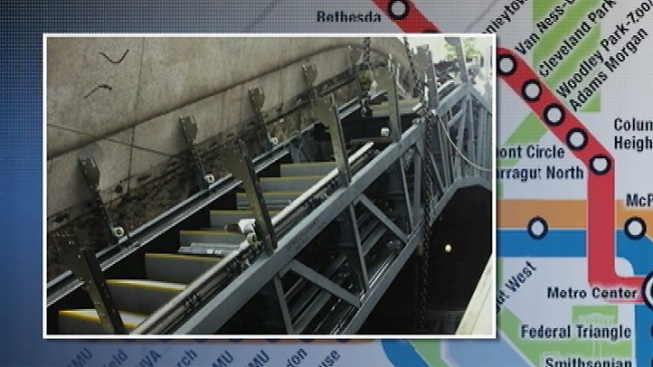 Metro released photos of the escalator replacement project at Dupont Circle on Friday. They say earlier this week, they reached a milestone when crews began demolishing and removing the third and final escalator. After that's done, crews will begin to install the two last escalators. Work at Dupont Circle is scheduled to be done by October, as part of metro's multi-year plan to improve escalator reliability system-wide. The plan is to fully replace 94 escalators over the next seven years.